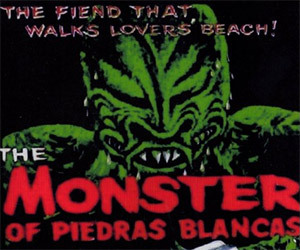 The Monster of the Piedras Blancas and Jeanne Carmen return to the screen to recall the classic sci-fi monster films of the 1950s and the joys of movie marathons. 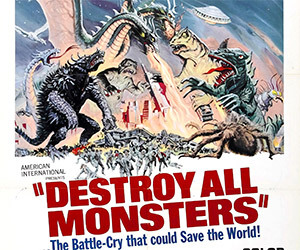 Godzilla (2014) director Gareth Edwards hints at a sequel to the film containing multiple creatures in the battle, a la the 1968 Godzilla film, Destroy All Monsters. 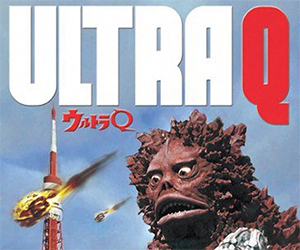 The Japanese television series Ultra Q is coming to the U.S. on DVD. From the man who brought us Godzilla and Mothra comes Namegon and Kemurujin. 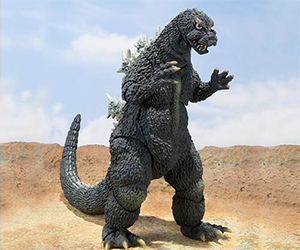 This Godzilla figure by S.H.MonsterArts, and created by sculptor Yuji Sakai, is based on the classic 1964 era Godzilla from films like Mothra vs. Godzilla. 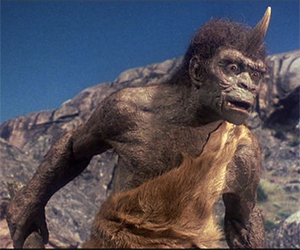 Monster Island News provides information regarding Ray Harryhausen's classic film, Sinbad and the Eye of the Tiger, starring a young Jane Seymour. 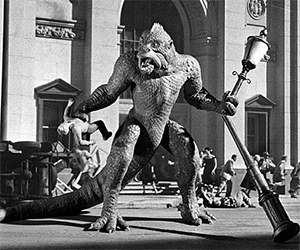 Watch the original trailer for Ray Harryhausen's classic film 20 Million Miles to Earth and learn some interesting facts about its filming. 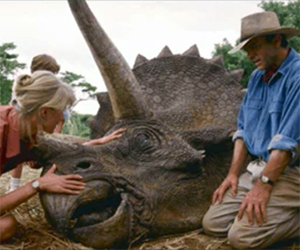 This short video shows the hard work that went into building and puppetering the full-scale triceratops model in Jurassic Park. Just How Big is the Death Star? 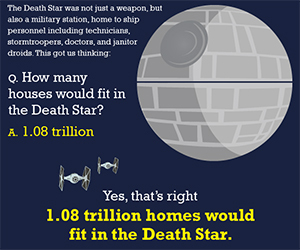 By one estimate, over one trillion homes could fit inside the Death Star. What sort of budget does the Empire have anyway? 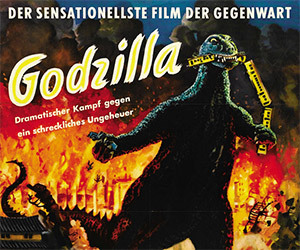 Here's a great collection of vintage Godzilla movie posters from the 1950's. 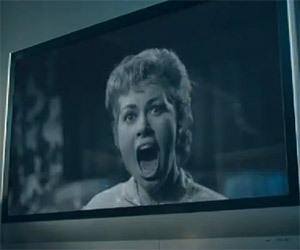 "100 tons of hell and fire!" KOMBOH's response to a cease and desist letter? Just rework the poster, removing all referenced work. 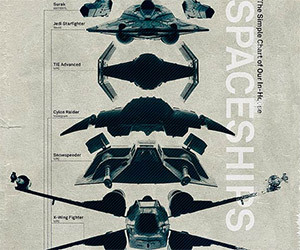 This retro-style poster features a collection of spaceships the artist found stowed away in his cellar.